In the photo above we see US Congressman Ed Royce of California discussing HR 11, a resolution he introduced condemning the UN Security Council for its recent action on Israeli settlements. You’ll also notice, to Royce’s right, Florida Congresswoman Ileana Ros-Lehtinen brushing her hair with a pink hairbrush. The scene is from a debate in Congress which took place on January 5, 2017. Royce and a number of other congressional representatives (342 of them in all) became hot and bothered over the UN’s pointing out (correctly of course) that the settlements are illegal. The photo is a screen shot I took from a C-Span video. It’s a long video, more than eight hours, but if you advance it to about the 5:19:52 mark, you can watch the entire House debate on HR 11, which not surprisingly includes a lot of groveling to Israel (hat tip to Greg Bacon). Just to refresh your memory, the Security Council, by a vote of 14-0 with 1 abstention, passed a resolution on December 23 “condemning all measures aimed at altering the demographic composition, character and status of the Palestinian Territory occupied since 1967.” Voting in favor were Russia, China, Malaysia, Venezuela, New Zealand, Senegal, Spain, Uruguay, France, Angola, Egypt, Japan, UK, Ukraine; the lone abstention was by the US. The Security Council action was welcomed by a good many people the world over, although Benjamin Netanyahu threw a temper tantrum, claiming to have “absolute” proof the Obama administration had been secretly behind it. Other critics accused the US of a “betrayal” of its longtime “ally,” and an enormous amount of controversy erupted over the issue in the waning days of 2016 and carrying over into the new year. Of course, anytime a dispute emerges between the US and Israel, members of Congress can always be counted upon to side with the latter rather than with their own nation–and this time was no exception. “Today we put Congress on record objecting to the recent UN Security Council resolution that hurt our ally, that hurt Israel, and I believe that puts an enduring peace further out of reach,” fretted Royce. In the first frame of the montage below we see her with the pink hairbrush, followed by a shot of her rummaging in her purse. In the third frame she pulls out what appears to be lipstick or eyeliner (I’m not an expert on women’s makeup), and lastly applying it with her right hand while still holding the container with her left hand. “Our closest friend and ally, the democratic, Jewish state of Israel, has been under constant attack by the United Nations,” she claimed. For Ros-Lehtinen, however, UNSC Resolution 2334 was nothing more than an execrable attempt to “delegitimize” Israel–and all the more reason why swift passage by Congress of HR 11 was needed to repudiate it! This resolution, Mr. speaker, will not undo the damage that has been done at the Security Council, but it sends an important message to the world that the United States Congress resoundingly, and in a strong bipartisan manner, disapproves of the vote taken on resolution 2334, and it sends a warning to the nations that will gather in Paris next week to discuss the peace process that there will be repercussions if there is a move to introduce a parameters resolution before the 20th and in an effort to further isolate Israel. Our closest friend and ally, the democratic, Jewish state of Israel, has been under constant attack by the United Nations. Abu Mazen and the Palestinians have pushed a campaign to delegitimize the Jewish state, to undermine the peace process, to achieve unilateral statehood recognition. For some reason–I’m not quite sure why–the sight of Ros-Lehtinen primping and then fulminating at the podium brought to mind a picture I once saw of an economically-impoverished elderly woman kissing a bird. When someone is good, they are always beautiful. The woman whose picture accompanies the poem is beautiful in a way that Ros-Lehtinen is not. In addition to berating the Security Council, the Florida congresswoman also attacked the UN Human Rights Council. It’s interesting that Ros-Lehtinen would single out Cuba, Venezuela, and China as being among “the worst abusers of human rights,” while saying nothing–zip–zero–about Saudi Arabia, a country that executes people by beheading and which currently holds the chair of the Human Rights Council. Exceptions were taken to other UN deliberative bodies as well. “We’ve seen this scheme to delegtimize Israel at the General Assembly where in its closing legislative session, the General Assembly passed twenty–twenty–anti-Israel resolutions and only four combined for the entire world!” Ros-Lehtinen bellowed. What exactly she meant by “we will have an opportunity to reverse that damage” is unclear. Possibly the Trump administration has some plan to introduce a new measure at the UN. In any event, Ros-Lehtinen clearly seems to be a person of both inner and outer ugliness–though of course she is not the only member of Congress with such attributes. Perhaps the most groveling speech of all those given in Congress on January 5 was that delivered by House Speaker Paul Ryan. If Ryan was the supreme groveler in the debate, Royce would probably have to rank a close second. One thing which seemed terribly to incense the California congressman about the Security Council resolution is that it doesn’t recognize Israel’s right to steal East Jerusalem. “This dangerous resolution effectively states that the Jewish quarter of the Old City of Jerusalem and the Western Wall, Judaism’s holiest site, are in the words of the resolution ‘occupied territory.’ Why would we not veto that?” asked Royce. “It also lends legitimacy to efforts by the Palestinian authority to put pressure on Israel through the UN rather than to go through the process of engaging in direct negotiations, and it puts wind in the sails of the shameful Boycott, Divestment and Sanctions movement,” he added. Royce also claimed that Israel, not Occupied Palestine, is suffering “bullying and harassment.” That may sound like the statement of someone living in a parallel universe, but it is a view shared by New York Congressman Eliot Engel, one of HR 11’s original cosponsors. Even those representatives who spoke in opposition to HR 11, did so while expressing their support for Israel at the same time. One such member was Rep. David Price, a Democrat from North Carolina. Another who voted against HR 11 was Jan Schakowsky, a Democrat from Illinois who is also married to Robert Creamer, the Democrat Party operative who was seen in a Project Veritas video discussing plans to have protestors show up at Trump rallies during the campaign. 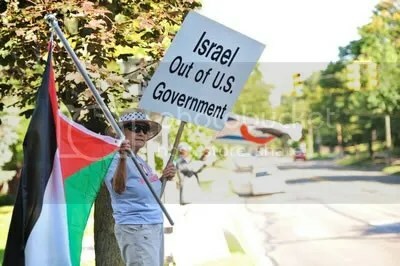 Schakowsky feels that a little bit of criticism of Israel is allowable at times, and furthermore she holds to this belief as a “proud Jew,” as she stated to her colleagues. Presidents from Lyndon Johnson to George W. Bush have each vetoed, and sometimes voted for, a UN resolution contrary to the wishes of Israel’s government at the time, and only the Obama administration, until two weeks ago, never, ever cast a vote against what Israel wanted. But opposition to the building of settlements on land belonging to Palestinians before the 1967 war was, with the exception of the land, of course, that’s going to be swapped, agreed to by both parties, has been the official US policy for many decades, contrary, again, to the assertions of H Res 11. 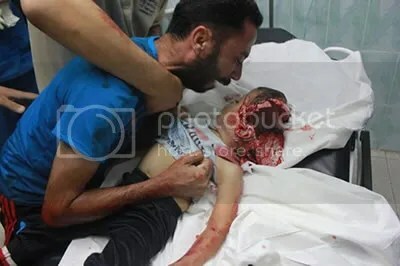 It has also been the policy of the United States to recognize that the only long term solution to the Israel-Palestinian conflict, the violence, the loss of life, is to create two states, one for the Palestinians and one for Israel. Exactly how a contiguous Palestinian state is going to be created in a West Bank splotched and dotted with all those settlements, is something Schakowsky left unaddressed. But having voiced a few mild criticisms of Israel, the congresswoman apparently felt an overwhelming need for balance–and so she tossed out a few criticisms of the Palestinians for good measure. Provocations? It’s an interesting word when referring to a people who have been resisting land theft and occupation for more years than most of us have been alive. It also gives rise to a question: How is it possible to carry out “provocations” against a country or governmental entity that technically speaking is in all likelihood guilty of the crime of genocide? Of course it’s unlikely you’ll get an honest answer to that question from Schakowsky or any other member of Congress. At any rate, HR 11–a resolution which not only impugns the Security Council but even criticizes the United States–passed the House of Representatives by a vote of 342-80, with 4 abstentions. You can go here to see the roll call on the vote. It was Jeffrey Blankfort who first coined the old saying about Washington being Israel’s “most important occupied territory.” I think it was sometime back in the late eighties or the nineties when Jeffrey made that comment, and if anything, over the years, it has become more profoundly true than ever. In addition to writing to Trump, Palestinian President Mahmoud Abbas also reportedly has written letters to the leaders of Russia, China, France, Germany, the United Kingdom and the Arab League asking them to do what they can to stop the newly-elected president of the the US from moving the embassy. There are also now reports of worries that moving the embassy could increase security threats to State Department personnel in other countries besides Israel–but apparently this doesn’t concern Florida Sen. (and devoted Zionist) Marco Rubio. Rubio is referring to the “Jerusalem Embassy Act,” approved by Congress in 1995, which calls for the moving of the US embassy to Jerusalem but which also allows for a presidential waiver if it is deemed the move would harm US security interests. Every president from the time the law was passed up until today has exercised the waiver. The PLO response to the move–at least as stated in the above video–would be a withdrawal of its recognition of Israel. There is also a warning that the Palestinian Authority could dissolve itself, effectively rendering Israel responsible for administering what are now referred to as the “Palestinian territories.” This would leave the Jewish state with the choice of either annexing the territories and giving Palestinians living within them the right to vote in Israeli elections–or, alternately, Israel could openly rule over a subject people who have no rights as citizens. This would basically remove the fig leaf cover and expose Israel once and for all as an apartheid state. Should it choose this latter course of action, doubtless it would become grist for the mill for a conference set to take place in Ireland and which I posted an article about four days ago. The three-day conference is to be entitled “International Law & the State of Israel: Legitimacy, Exceptionalism, and Responsibility,” and as I reported, one of the questions its participants will examine is whether Israel has a legal right to exist under international law. If Dermer and other Israeli officials are worried about the “delegitimization” they are experiencing now, doubtless the fires of illicitness will get hotter if the Palestinian Authority “hands the keys to the territories” back to Israel. Whether the PA will actually go through with that remains to be seen, however. And my own personal view is that it is something they probably should have done a long time ago. However, if today’s resignation of a Palestinian mayor inside of Israel is any indication, we could perhaps seem something like that come to pass. As bad as the settlements are–and as the video above makes clear, they have in essence destroyed any chance of peace–maybe the time has come to stop having debates about the settlements per se. Maybe the time has come instead to approach the problem from an entirely different perspective–maybe, rather than deliberate and wrangle over settlements, the real issue humanity should take up now, after witnessing 50 years of illegal occupation and land grabs, is the question of whether Israel should even have a right to exist at all. This conference will be the first of its kind and constitutes a ground-breaking historical event on the road towards justice and enduring peace in historic Palestine. It is unique because, while most attention today is directed at Israel’s actions in the 1967 Occupied Territories, the conference seeks to expand the debate surrounding the nature of the State of Israel and the legal and political reality within it. Alongside these debates, there has been a persistent, if marginalized, scholarship examining and analyzing problems associated with the creation and the nature of the Jewish state itself and the status of Jerusalem. This research has combined historical scholarship and legal analysis of the manner by which the State of Israel came into existence as well as what kind of state it is. The issues explored hitherto linked reflections on the scholarship between international law and: identity and injustice; violence and morality; nationality and citizenship; self-determination and legitimacy; exceptionalism; and responsibility. Professor Nadera Shalhoub-Kevorkian, Faculty of Law/Institute of Criminology and the School of Social Work and Public Welfare, Hebrew University of Jerusalem. Ms. Ofra Yeshua-Lyth, Writer, journalist, and member of Jaffa One State Group. Professor Joel Kovel, Independent Researcher. Professor Oren Ben-Dor, Law School, University of Southampton, UK. Filed under: "Peace with Israel", British Jews, De-legitimizing Israel, Jewish Lobby, Jewish Power, Nazi Israel, Palestine, Settlements and settlers, Two States Solution | Tagged: Richard Edmondson |	Comments Off on 3 Myths About Israeli Settlements…plus…Does Israel have a Right to Exist? 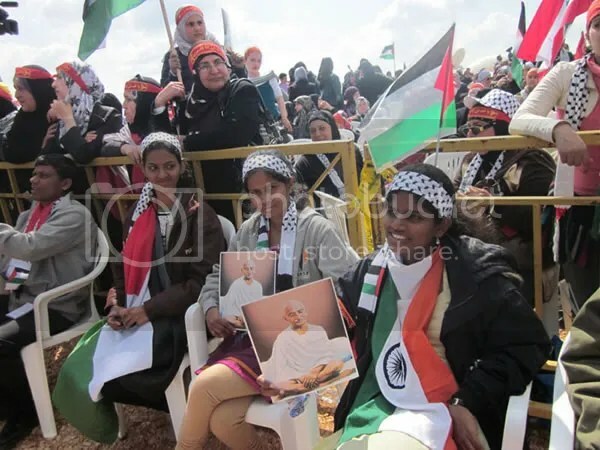 Around the World the Flag of Palestine is Growing Quite Popular! On Monday of this week, Nickolay Mladenov, a UN envoy to the Middle East,reported to the UN Security Council that Israel continues to ignore international calls to halt its settlement activity on Palestinian lands. Mladenov was referencing a report by the so-called Quartet on the Middle East–comprised of the UN, the US, Russia, and the EU–which was released earlier this year and which called upon Israel to halt its settlement activity and its demolition of Palestinian homes. “It’s (the report’s) recommendations continue to be ignored, including by a surge in Israeli settlement-related announcements and continuing demolitions,” he said. In his comments, Mladenov pointed out that rather than curtailing its settlement activity, Israel–in the two months since the report was released–has actually increased it, with the advancement of more than 1,000 new units in occupied East Jerusalem and 735 units in the West Bank, according to a report in Press TV. “All of these plans would essentially create new illegal settlements, and I call on Israel to cease and reverse these decisions,” Mladenov said. With the US veto as Israel’s ace in the hole, I doubt we’ll see the Security Council take action, at least any time soon. And many other places as well. Well, that says it fairly clearly, but if you’re still not clear on the answer, then ask yourself the following question: Does it help Israel’s cause, or hurt it, when some of the dirtiest, most corrupt politicians…in Italy…in the UK…in the US, and many other countries besides, go about constantly professing their eternal, undying, no-daylight-between-us support for Israel? The daily news provides an unappetizing display of this with each passing day. 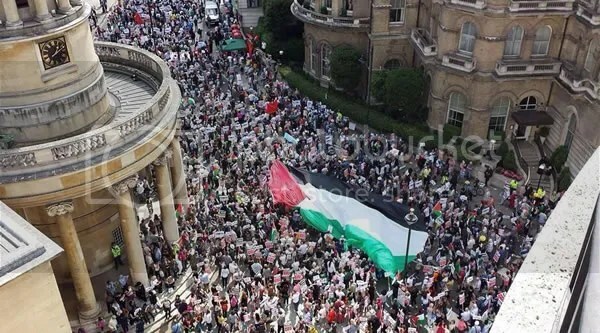 Obviously support for Palestine is growing, and obviously the Palestinian flag has a special place in the hearts of a lot of people. I’m guessing the reasons for this have as much to do with the occupation that the Palestinians are suffering as with what people are experiencing in their own countries and the sense many have of feeling betrayed by their own leaders. Corruption is the order of the day, particularly in the West. This has resulted in unprecedented wealth inequalities, but just as tides change and the great fall, so do inequalities have a way of rectifying themselves. 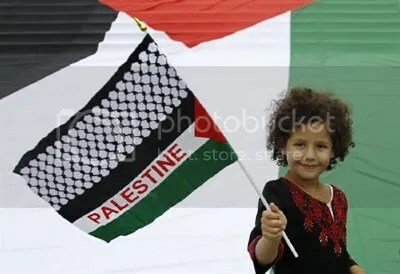 Palestine will one day be free, and so will the rest of us. Gaza in Context… Watch it!!! 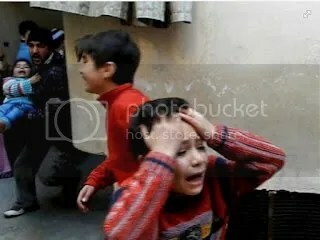 Filed under: Al-Qassam Brigades, Balfour declaration, Britain, collective punishment, De-legitimizing Israel, Ethnic Cleansing, Gaza, Home demolition, IOF, Jewish Crimes, Judaization, Nakba and ROR, Nazi Israel, Occupation Terrorism, Operation Cast Lead, Palestine, Palestinian Resistance, Pillar of Cloud, Protective Edge, Siege on Gaza, Walls of Shame |	Comments Off on Gaza in Context… Watch it!!! 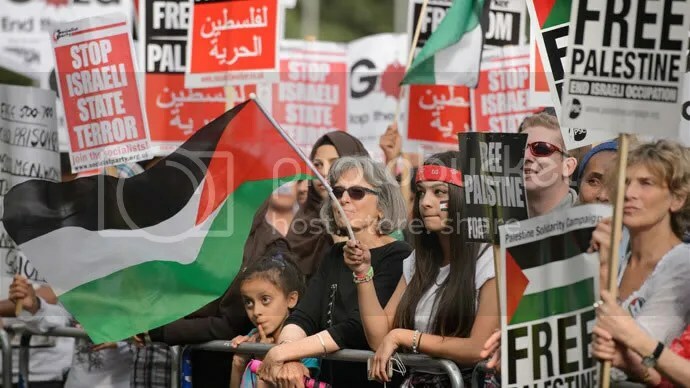 PRESS TV – UK Labour politician Rupa Asha Huq has suggested that Britain could apologize for helping to create Israel in the occupied Palestinian territories, a new report claims, further fueling an ongoing row over Israel that has seen senior Labour members suspended by the party. Huq, a member of Parliament (MP) who represents the London borough of Ealing, made the remarks at a meeting with the Palestinian Solidarity Campaign last year, the Daily Mail reported Sunday. However, she noted that an apology would be subject to criticism similar to those former Prime Minister Tony Blair faced for bringing up long-past historical events, including the Irish potato famine and slavery. The revelation comes shortly after Huq was attacked for defending fellow Labour MP Naz Shah, who was forced to apologize for backing calls for Israel’s “relocation” to the United States. The former mayor of London Ken Livingstone (pictured below) became the most prominent Labour figure to face the same fate as Shah after defending her and adding that Adolf Hitler was a Zionist. “The creation of the state of Israel was fundamentally wrong, because there had been a Palestinian community there for 2,000 years,” Livingstone recently told Arabic TV station al-Ghad al-Arabi. The illegal Israeli regime was established in 1948, when it occupied Palestinian land along with expanses of other Arab territories during full-fledged military operations. The occupied lands also include Lebanon’s Shebaa Farms and Syria’s Golan Heights. In 1967, it occupied the Palestinian territories of the West Bank, including East al-Quds (Jerusalem), and the Gaza Strip. It later annexed the West Bank and East al-Quds in a move never recognized by the international community. The Labour Party has suspended as many as 50 members over allegations of “anti-Semitism” and racism in the past two months. Last month, Corbyn ordered an inquiry into the issue and said he would propose a new code of conduct banning any forms of racism in the party. It has been a number of months since Israel passed that law making it legal for soldiers to shoot people for throwing rocks. I had kind of forgotten about that. How many civilized countries have a law like that on the books? The Israelis seem to have a real knack for “delegitimizing” themselves. The counter-argument to that, though, is that Israelis live in a “rough neighborhood” and face challenges the rest of us don’t have to worry about. But is that really the case? I suppose it all depends on how you look at it. 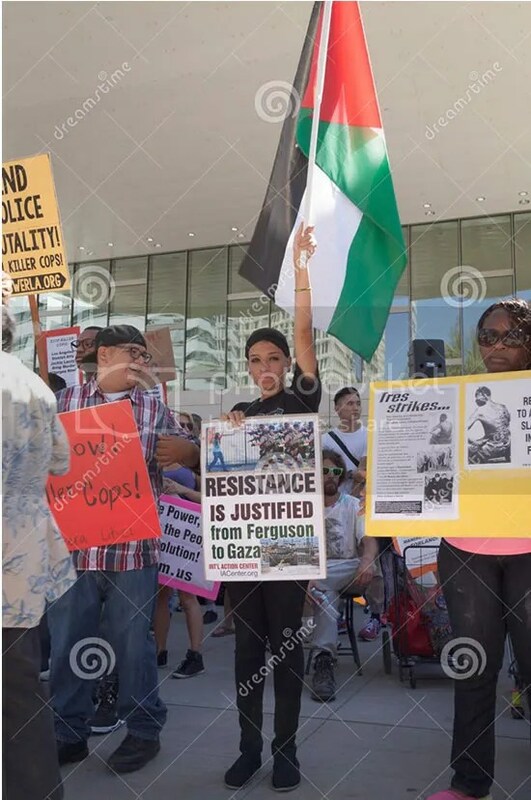 They started it!” Is Ms. Molinsky trying to say it was the Palestinians who stole the homes and land of the Jews back in 1948? That’s funny, I always thought it was the other way around. I guess we’ve had it backwards all these years.